In context: While technology has certainly made the world a smaller, more connected place, it’s becoming increasingly clear that it hasn’t made it a more unified place. Even in the realm of technology advancements—which are generally considered to be apolitical and seemingly independent of geographical boundaries—important regional differences are starting to appear. More importantly, I believe these differences are starting to grow, and could end up leading to several distinct geographic-driven paths for technology and product evolution. If this geographical splintering happens, there will be a profound impact on not just the tech industry, but industries of all types around the world. Having spent the last week in Beijing, China to attend the Create AI developer conference hosted by Baidu (commonly referred to as the Google—or more precisely, the Alphabet—of China), some of these geographic differences started to come into focus. In the realm of autonomous driving, for example, it’s clear that Baidu’s Apollo platform for autonomous cars is targeted at the Chinese domestic market. While that’s perfectly understandable, the distinct character of everything from the slower speeds at which Chinese cars tend to drive, to Beijing’s nearly impassable hutong alleyways are bound to create technology requirements and developments that may not be relevant or applicable for other regions. In addition to autonomous driving, there’s been an increasing focus by the Chinese government to create more native core tech components, such as unique semiconductor designs, over the next several years. The “Made in China 2025” plan, in particular, has put a great deal of attention on the country’s desire to essentially create an independent tech industry infrastructure and supply chain. One of the reasons for the appearance of these regional fissures is that technology-based products have become so integrated into all aspects of our society that governmental agencies and regulatory bodies have felt the need to step in and guide their deployment and development. Whenever that happens in different countries around the world, there are bound to be important differences in the directions taken. Just as several hundred years of local cultural norms have driven trade policies, business rules and the evolution of unique societal standards in each country, the local interpretation and guidance of key technology advancements could lead to important variations in future technological culture and standards around the world. While these regional technology differences might not happen in a truly united world environment, they still could in one that’s merely well connected. In other words, old-world historical and cultural differences between countries or regions could prove to be a much bigger factor in the evolution of technology products than many have previously considered. "Old-world historical and cultural differences between countries or regions could prove to be a much bigger factor in the evolution of technology products than many have previously considered." A practical example is being highlighted by the current trade wars between the US and China. Admittedly, when you consider the issues at a high level, there are a wide variety of concerns underlying the latest trade maneuvering, but for the tech world, much of it boils down to each region wanting to deter the influence or participation of major companies from the “other” side in their home country. We’ve already seen this play out with companies like Google and Facebook being banned in China, and the US blocking the use of Huawei and ZTE telecom equipment and China Mobile from participation in US markets. The practical result of this region-specific focus could end up being a natural selection-type evolution of certain technologies that creates regional “species” which have crucial differences from each other. Hopefully the gaps between these regional technological species can be easily overcome, but it’s not inconceivable that a combination of these differences along with regionally driven regulatory variances (and a dash of politically driven motivations) end up creating a more technically diverse world than many have expected or hoped for. To be clear, the vast majority of current technological developments are not being geographically limited. Plus, there are still many great examples within the tech industry of companies from different regions working together. At the Baidu event, for example, Intel was given a large chunk of time during the main keynote speech to highlight how they are working with Baidu on AI. 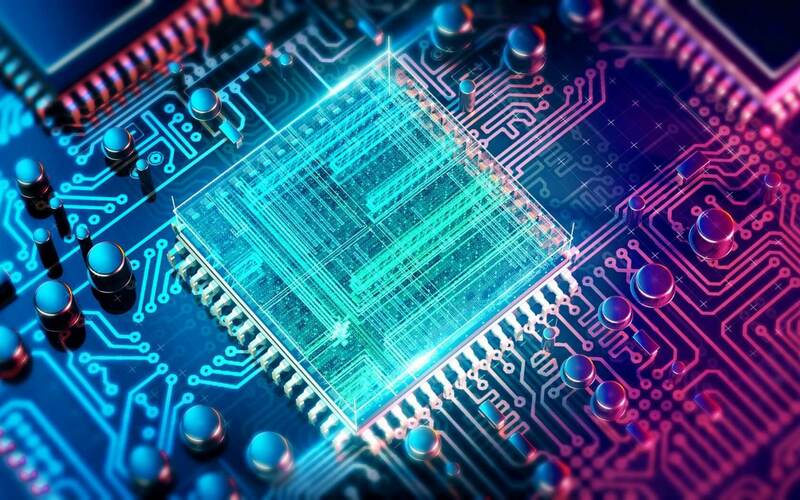 The two companies talked about the fact that Intel silicon is still a key part of how Baidu plans to drive its Paddle Paddle AI framework and overall AI strategy moving forward—despite the announcement of Baidu’s AI-specific Kunlun silicon. We are, however, reaching a point in the worldwide tech industry’s development that we can no longer ignore potential regional differences, nor assume that all tech advancements are following a single global path. Given the incredible potential influence of technologies like AI on future societal developments, it’s critical to keep our eyes wide open and ensure that we guide the path of technology advancements along a positive, geographically inclusive route.